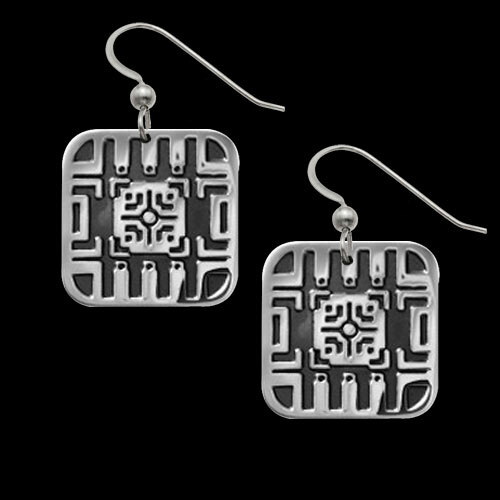 Sterling Silver Doorways Earrings by Metal Arts Group. Doorways represent gateways to new opportunities and change. When one door closes, a new one will open, leading to a better life. 0.8 x 0.8 inch Sterling Silver Doorways Earrings by Jody Bergsma. Made in USA.